With their debut album Love The Cup heralded as one of this year’s best releases and critics applauding the sheer intensity of their live performances, Sons And Daughters are now set to release their first single on October 4th. Album highlight Johnny Cash has been re-recorded for it’s single release. The song, a tribute to The Man In Black, features the vocals of Adele Bethel and Scott Paterson – “a Buckfast drenched Nancy Sinatra and Lee Hazlewood” (Scotland On Sunday) – and backed by ice cool bassist Ailidh Lennon and the driving drum beats of Dave Gow. B-side Hunt, whilst not included on Love The Cup, is already a fixture in the band’s live set. 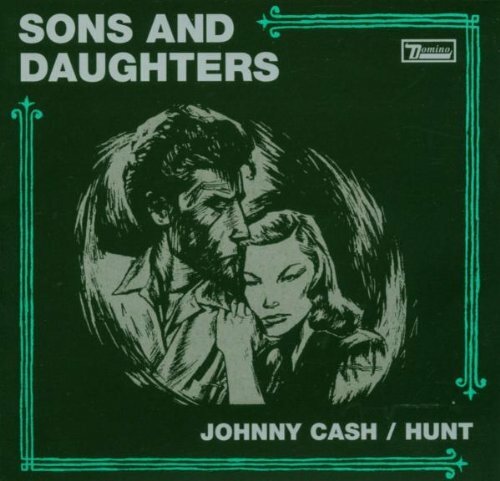 Sons And Daughters are currently playing select dates across the UK in advance of an October tour supporting The Delgados, and coinciding with the release of Johnny Cash. They’ve recently returned from a tour with label mates and fellow Glaswegians Franz Ferdinand in the U.S, where Love The Cup has been receiving an equally enthusiastic reception.